A flowery opening for Esposa new relocated store in Ramleh Al Bayda, catering to women’s desires and weaving their dreams. 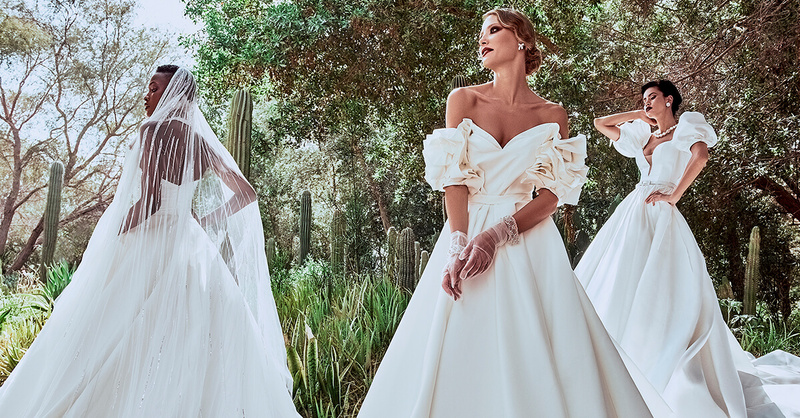 Always at the forefront of creativity, the trendsetter bridal brand could not settle for ordinary when announcing the opening of its new relocated store in Ramleh Al Bayda. Officially open for the fun and fashionable, Esposa hosted an event in their new store celebrating the moments of joy with their brides, while offering them mouthwatering chocolate bites from “L’atelier 33”. The new trendy “Esposa” boutique also reached out for women around Beirut with a sweet touch of flowers. Roaming the streets joyfully with their colorful vehicles fully decorated with Esposa-branded balloons and flower baskets, two charming gentlemen surprised women on the streets with offering them beautiful roses. The flowers landed in hundreds of women’s hands, drawing a smile on their faces and announcing in the sweetest way the opening of the new boutique. The store opens its doors passionately for the young and wild spirits through a wonderful collection of ready or tailor-made designs that caters to their bold tastes and dreams. Exactly like the group’s fresh line of collections, the store radiates joyful vibes, welcoming the visitors with a modern design highlighted by patterns of wild flowers and love messages.